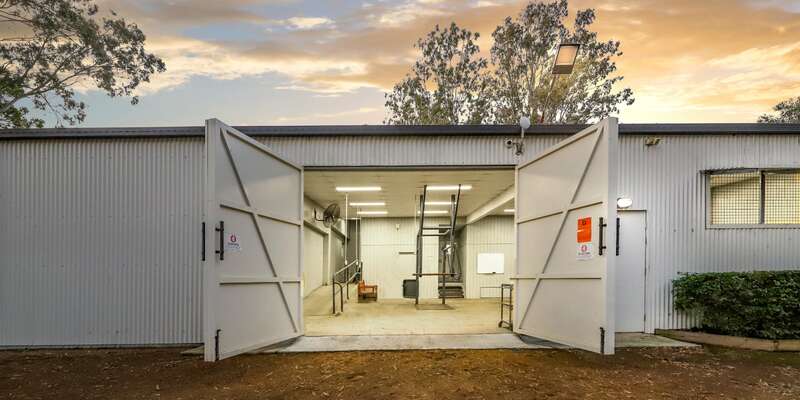 Our stem cell laboratory is the latest edition to our medical service at WestVETS. In collaboration with Regeneus Pty Ltd, an Australian biotechnology company, we offer Adicell™. Adicell™ is a patented procedure that harvests stem cells from the patient’s body fat, providing a safe, high quality and proven stem cell product. The stem cells are processed on site in our laboratory and are then immediately injected into a horse’s injured tendon, ligament or joint. Stem cell treatment encompasses a new age in veterinary regenerative medicine. Regenerative medicine focuses on the capacity for the body’s own stem cells to improve healing and restore the functionality of the injured tissue. It was initially thought that the primary effect of stem cell treatment was by differentiation resulting in regeneration of tendon, ligament, cartilage or bone. However, it is now known that the healing properties of stem cells are far more diverse than first anticipated. The effect of stem cells in injured tissue involves a complex interaction and communication with other cells and their local environment. Stem cells have been shown to positively benefit healing through anti-inflammatory immunomodulating effects and by providing stimulation and support for blood vessels and reparative tissue. Tendon injury in horses is a result of overstrain. This can be a sudden overload that overwhelms the tendon’s strength, however the most common cause is cumulative fatigue and degeneration. Tendon fibres begin to degenerate with age and have little or no ability to adapt to training or to repair microdamage once the tendon matures at around 2 years of age. Age, speed, ground surface and foot balance all play a role in the rate at which a tendon is damaged or degenerates. Consequently, the repetitive strain placed on the tendon throughout a horses career overcomes the strength of the tendon resulting in tearing and a core lesion (hole within the tendon). Tendons have the capacity to heal but the healed area is very different to normal tendon tissue. The scar tissue is less elastic and is stiffer than normal tendon fibres. This predisposes the tendon to unacceptably high rates of reinjury following conservative treatment with rest alone. The stiffness also results in poor functionality due to less efficient storage of energy and so reduced performance. The aim of stem cell therapy is to create a healed area that is as close to normal tendon tissue as possible. Currently stem cell therapy is recommended for the treatment of certain injuries of the horse’s flexor tendons and suspensory ligament. The objective with stem cell treatment and regenerative medicine is to improve the quality of healing and to consequently restore function to a level similar to prior to injury. Stem cell therapy certainly does not offer guaranteed success, but it is considered to significantly reduce the incidence of reinjury. Rehabilitation over time with a graded exercise program is still necessary for a successful outcome. An exciting emerging application for stem cell therapy in horses is in the treatment of soft tissue joint injury, bone cysts and in the management of lameness associated with osteoarthritis. Stem cell treatment has been used in conjunction with arthroscopic surgery when typically the results from surgery alone would be poor and significantly better outcomes have been observed. The potential benefits for the use of stem cells in osteoarthritic joints relates to the anti-inflammatory properties of stem cells and also their ability to embed within the joint as well as their capacity for self renewal resulting in a prolonged duration of effect. Candidates for stem cell treatment for osteoarthritis are those horses that fail to respond or become refractory to conventional treatments or those horses that suffer side effects from non-steroidal anti-inflammatory or corticosteroid medication. 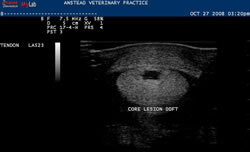 Tendon and ligament injuries are a common cause of lameness in horses. 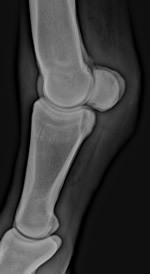 Traditionally, a horse with a tendon or ligament injury would require 6 to 12 months rehabilitation with no certain prognosis. PRP (Platelet-Rich Plasma) is a revolutionary new therapy for the treatment of these injuries. 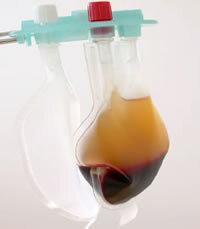 PRP is the result of processing whole blood from the lame horse to extract platelet rich plasma. This plasma is then injected into core lesions in tendons to promote healing. The process enhances both the formation of new blood vessels and new connective tissue. Injection of PRP is recommended for both recent tendon and ligament injuries and those injuries that have not healed following rest and controlled exercise. The procedure is done in the standing horse under sedation and with a local nerve block. In most cases, a single PRP injection is needed. To date, treatment has resulted in rapid healing of previously static lesions and return to soundness and function. irap™ is the latest therapy for damaged joints and we are now able to offer it at WestVETS. irap™ therapy involves the treatment of lameness utilising the body’s own healing mechanisms. Blood is taken from the horse and incubated with special glass beads that promote the production of regenerative and anti-inflammatory proteins by the white cells in the blood. The sample is centrifuged and the serum containing these proteins is harvested. This serum is injected into the affected joint. The serum is divided into 3ml doses and each sample typically provides enough serum for 6 to 7 treatments. These treatments are stored frozen for future use. It is important to note that the serum can only be used on that horse from which it was collected. Typically the full therapeutic effect is noted after the joint has been medicated three times with irap™. The profound anti-inflammatory effect seen comes with none of the side effects of drug based treatments and is not swabbable as it is made from the body’s own proteins. Our Veterinarians can come to you. 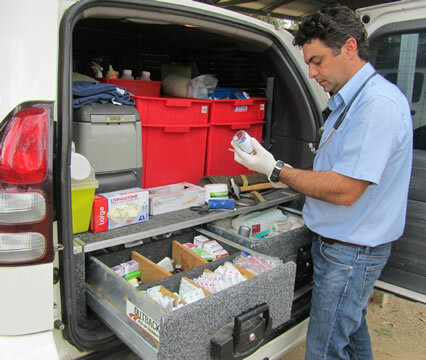 WestVETS has fully equipped vehicles, a mobile crush, mobile xray, ultrasound, endoscopy and powerfloat dentistry equipment available for property visits. We do not charge travel for Equine and Farm Animal calls for our local clients. We encourage purchasers to discuss their requirements with our vets prior to purchasing their next horse. Poor selection of a horse can be financially and emotionally costly. Stem Cell Therapy is a revolutionary approach to the treatment of canine osteoarthritis. Ask our vets for more information. irap™ is a state of the art therapy that utilises the patient's own blood and natural healing mechanisms to treat a variety of joint disease.